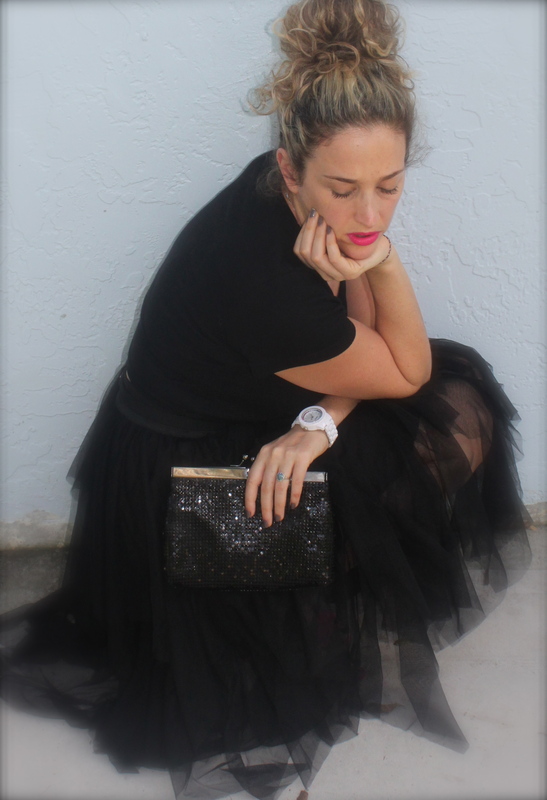 Tulle skirts are such a fun way to add some romance to any outfit. They are so flirty but can be very unflattering! So make sure to keep your top nice and fitted as to not add any extra volume. ** I forgot to take my huge sporty watch off…ooooops! !